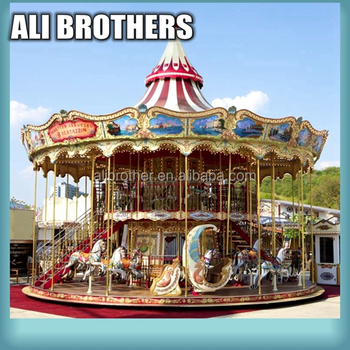 Zhengzhou Ali Brothers Import & Export Co., Ltd. specializes in the development,design, production, sales as one of professional manufacturers since 2007. 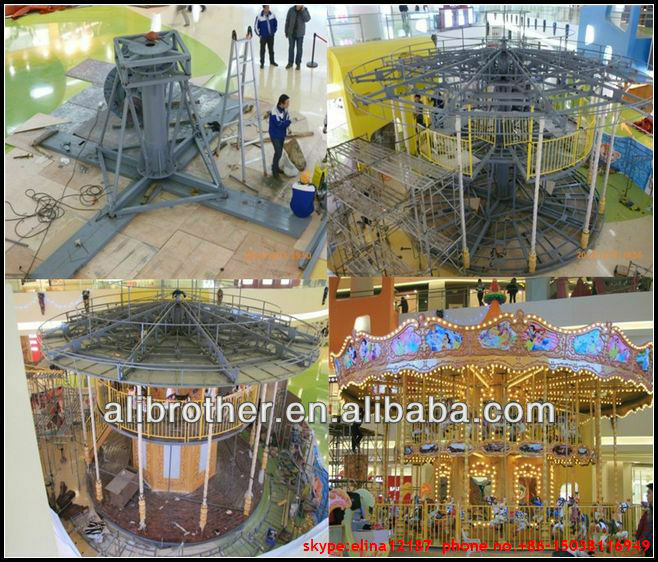 Our main products are: carousel, pirste shipe, flying chair, self-control plane, big pendulum, jumping kangaroo, flying carpet, flying UFO, mechanical bull, and some other rotating rides., with novelty, diversity and security. 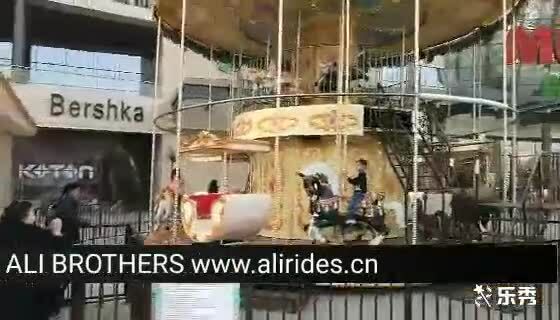 We have 3 seats, 6 seats, 12 seats, 16 seats, 24 seats, 36 seats carousel. also can customize according to your drawing design. 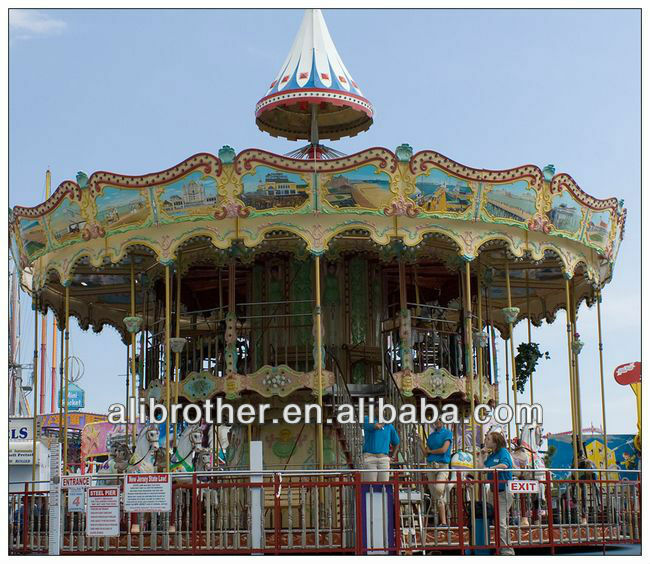 1.Wonderful amusement park equipment which is popular all over the world. 2.Welcomed by young people and loved by children for its romance and happiness. 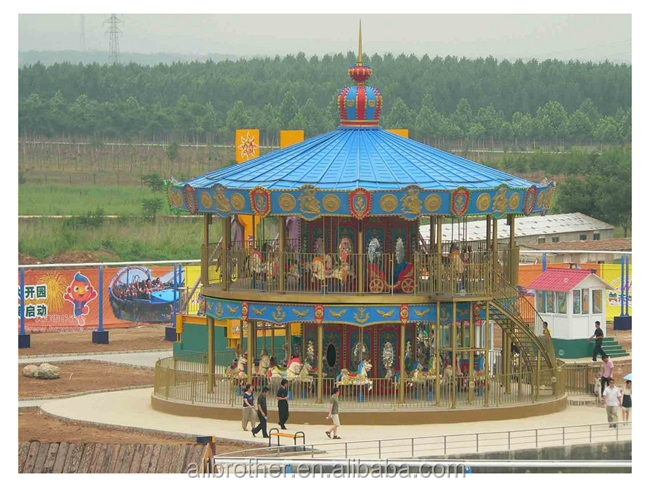 3.The production adopts to high-quality fiberglass reinforced plastics, have the feature of enviornmental,corrosion resistance,high stability and reliability and very attractive in vivid color and appearance. 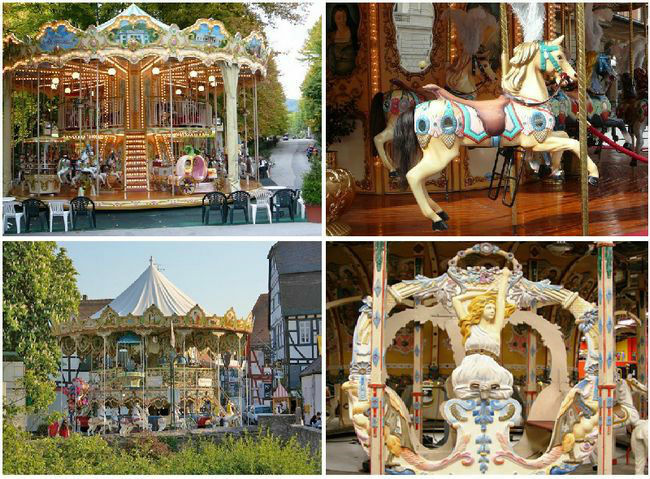 4.It is very luxury and attractive.The circus horses decorated beautifully and carry players turn round and round,up and down. 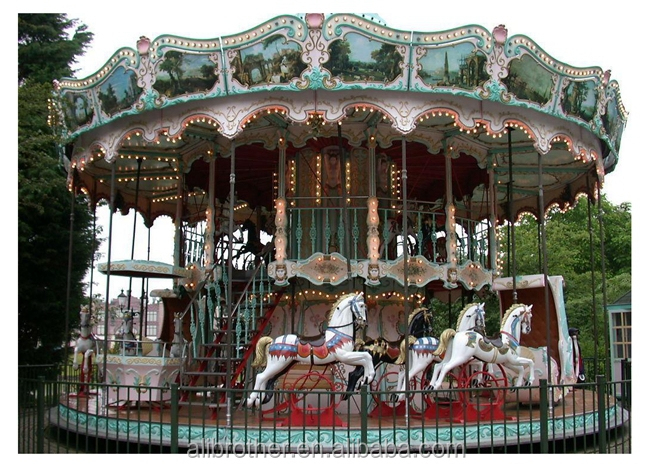 5.Musical merry go round makes the passengers feel like riding on a real horse. 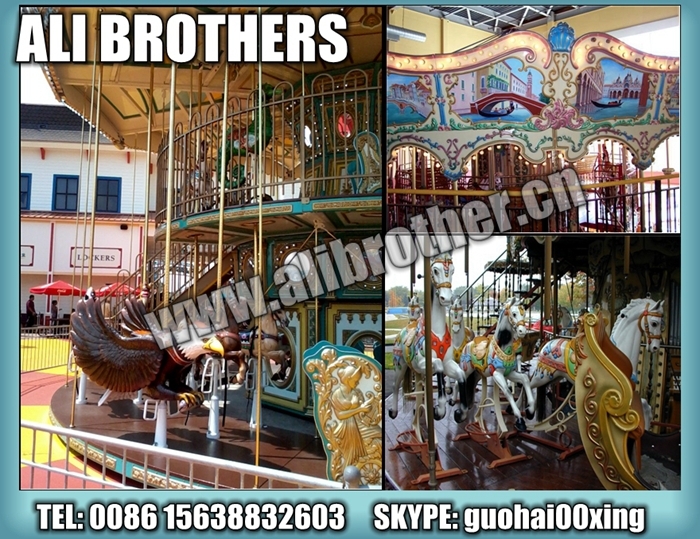 6.It can make according to playgrounds and users requirements. 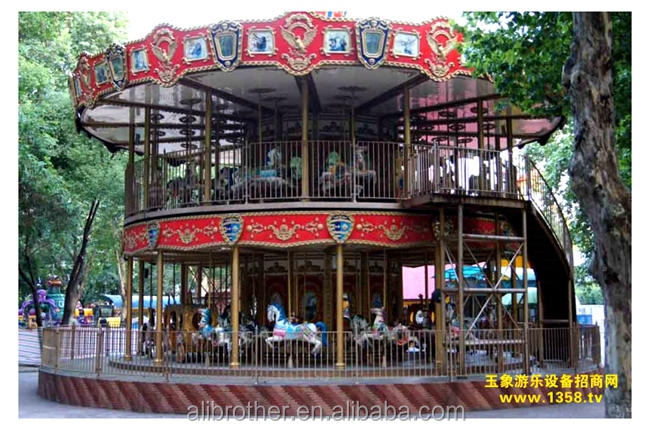 7.Our merry go round is applicable to all parks and playgrounds and the palace. 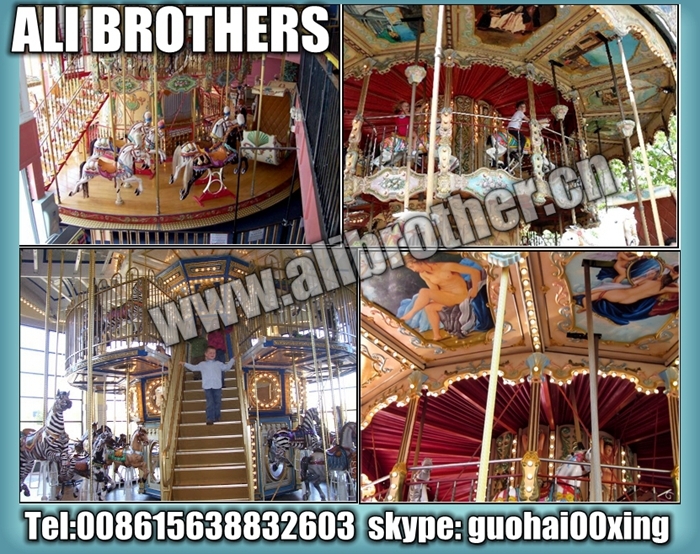 contact us, welcome to your inquiry and sincere hope that we can cooperate friendly.